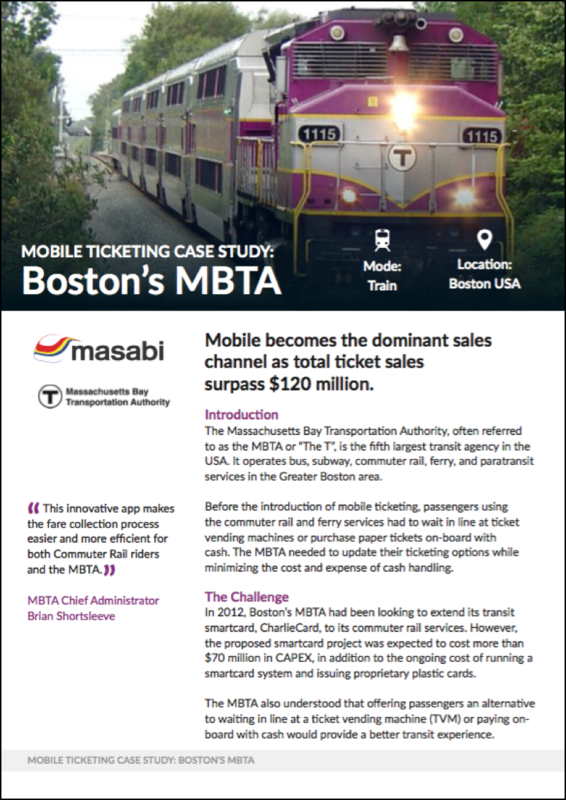 In 2012, Boston’s MBTA, the US’ 5th largest transit agency, had been looking to extend its smartcard, CharlieCard, to it's Commuter Rail. This would allow riders to move away from paying on-board with cash – however the proposed smartcard project was expected to cost over $70m in CapEx alone. Instead they opted for a mobile ticketing solution and today over a third of tickets are sold via the mobile ticketing app. Download the case study to learn more.